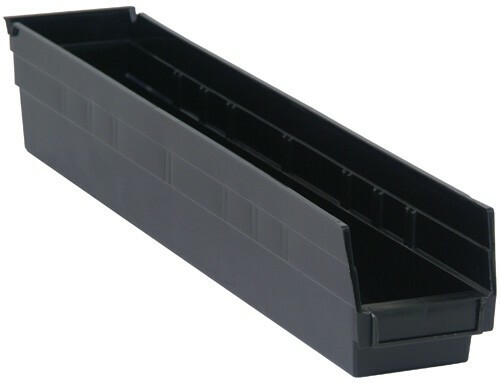 Conductive ESD plastic bins protect your electronic components from typical electromagnetic interference (EMI), electrostatic or induced fields. 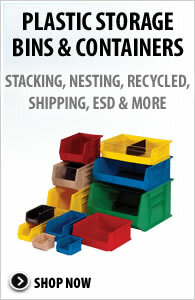 Bins are molded with carbon-filled, copolymer polypropylene. Surface resistivity is less than 10(5) Ohms-per square. 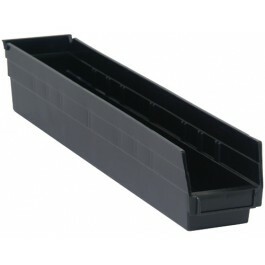 Easy access to stored items with hopper front bin and label holder provides fast identification. The conductive material provides a barrier which these fields cannot penetrate and prevents the build-up of electrostatic charge. 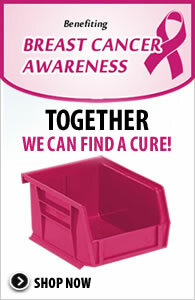 Bins are permanently conductive and are unaffected by washing with normal cleaners. Be sure all units are properly grounded according to your use. Color is Black.